More often heard than seen. Smaller than the Grey Heron, with stocky neck and entirely dark brown and golden buff streaked plumage which provides excellent camouflage. 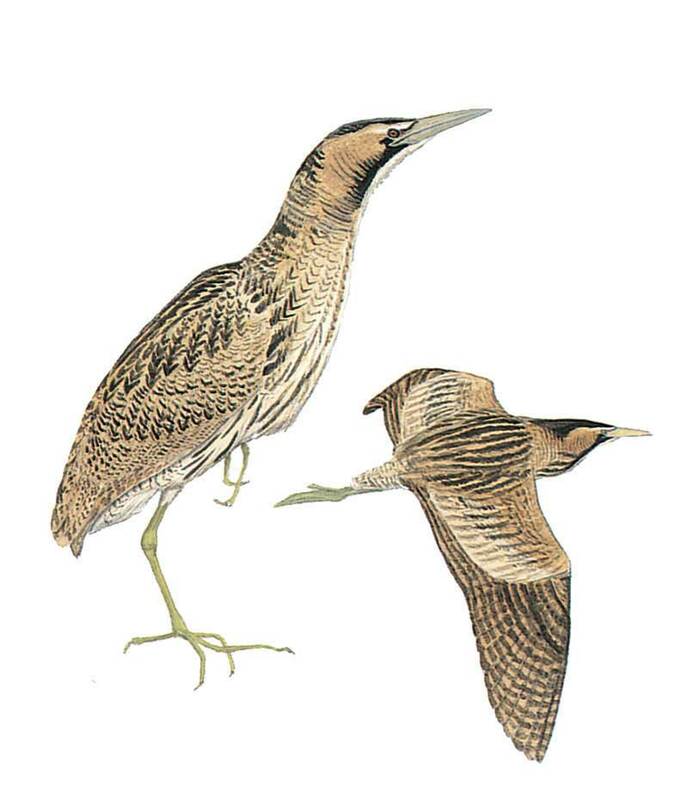 Juvenile Little Bittern is similar in plumage but is very much smaller. Juvenile Night Heron is smaller and shows white spots on wings. Juvenile Purple Heron lacks streaks on back and has a long thin neck.